Other galleries featuring caterpillar sightings from Europe, Africa, Asia and South America are scheduled to be added. Many species of butterfly and moth have a wide distribution and found in more than one country. include LOCATION (country, province, state, county) – SEE BELOW other useful information to provide to help with identifications. Your images are welcome and with your consent may be shared with others by adding to the appropriate countries caterpillar gallery with accreditation. Please note that despite photographs and sightings being added daily there are many still awaiting processing and it can take time. Unfortunately not all caterpillars are as distinctive and well studied as The Alder Moth and The Lackey Moth caterpillars shown. Consequently, although the majority can be identified from photographs, some can’t be without being reared through. Knowing the size of a caterpillar can also help with identifications as many caterpillars dramatically change appearance as they grow, moult into another instar and prior to pupating. In some countries the early stages of many species are under researched. It may also be worth checking the latest news and caterpillar sightings to see if your caterpillar is featured. Date of sighting, location and habitat. 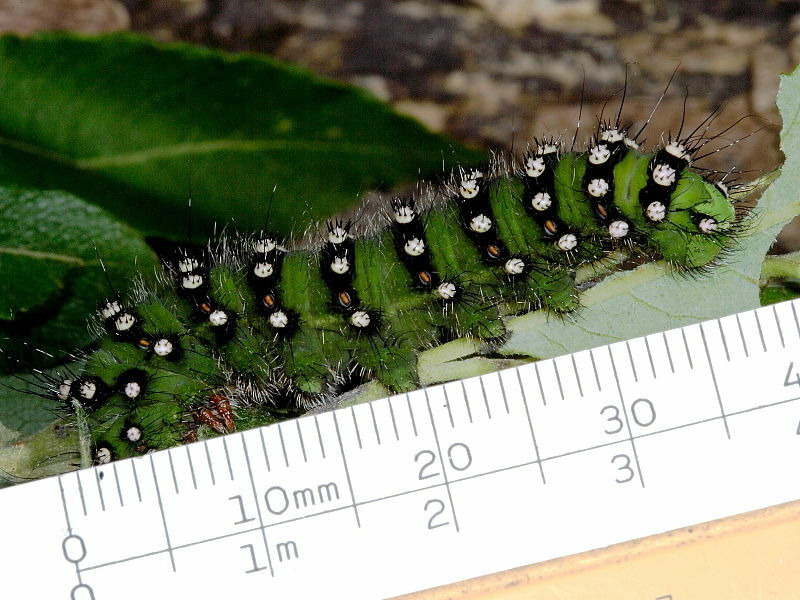 The size, colour and number of legs of the caterpillar. If it was hairy or smooth skinned, any distinctive markings, bumps or tail extensions. If it was on a particular plant. 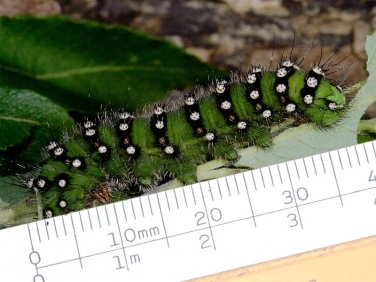 See information on caterpillar legs. that whilst every effort is made to provide accurate identifications and information errors could occur. Where sightings are of particular interest they may feature in latest sightings and on specific species pages or latest sightings , examples – Death’s Head Hawkmoth and Convolvulus Hawk-moth image. 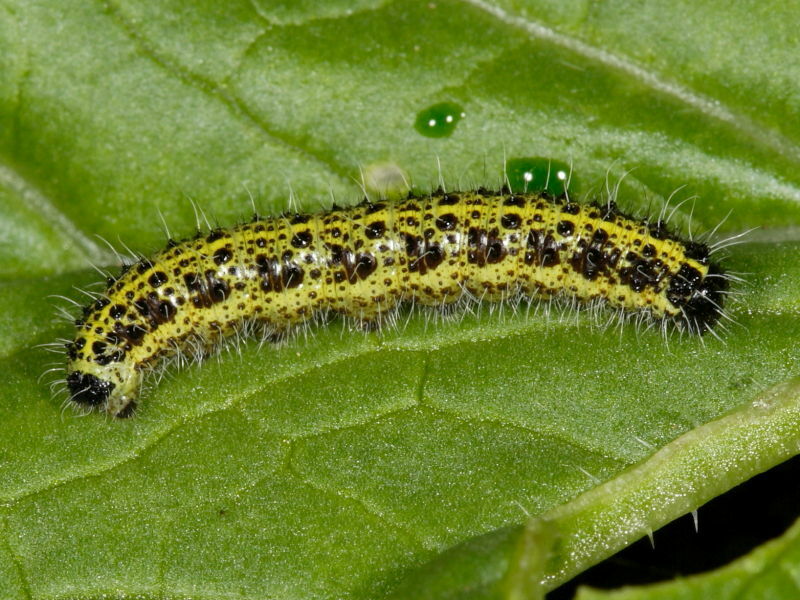 Is a caterpillar a pest or a health hazard? 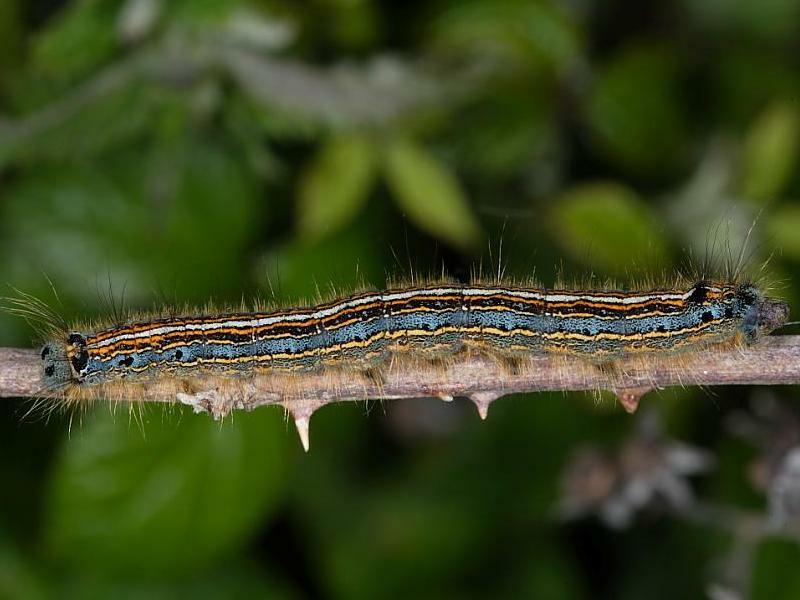 Many identification requests received are from those concerned whether a caterpillar is either a health hazard – see hairy caterpillars, or will damage their vegetables, fruit trees or shrubs. Most caterpillars are harmless and form a vital part in the food chain supporting many animals. However, there are a few caterpillars that can cause severe damage to vegetables fruit crops, trees and shrubs. These include caterpillars of The Large White and Small White Butterfly, often referred to as Cabbage Whites, which can cause severe damage to the Brassica family of vegetables. Please also be aware that there are a few caterpillars that on occasions can become a health hazard. The hairs of some caterpillars such as the Brown-tail Moth have hairs that can cause intense irritation. Stinging slug caterpillars of the Limacodidae moth family are known in many countries for their urticating hairs. Some such as the Saddleback featured left and in the American caterpillar gallery cause painful skin reactions to many people in the States every year. In general, and to be on the safe side, hairy caterpillars should be treated with caution and direct skin contact avoided. 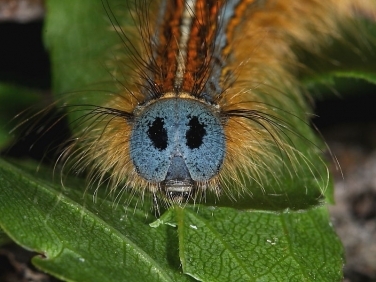 See identification guide to some of the most frequently seen hairy caterpillars.